Overlooking Bass Strait, nestled in the Otways overlooking the Great Ocean Road, Chris's Beacon Point Restaurant and Villas has become a Mecca for gourmet travellers. 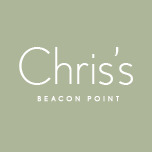 A personal approach to hospitality has made Chris's one of the best-loved places in the region and a passion for the food of Southern Europe combined with the freshest and purest produce has made our cuisine world famous. All of our apartments are self-contained, have with modern fittings, floor-to-ceiling windows and a dizzying sea view. A complimentary Continental breakfast is included in the tariff. This is served in Chris's Restaurant from the Melbourne Cup to Easter and is provided in your room out of season. This has proven to be a very popular feature for our guests.